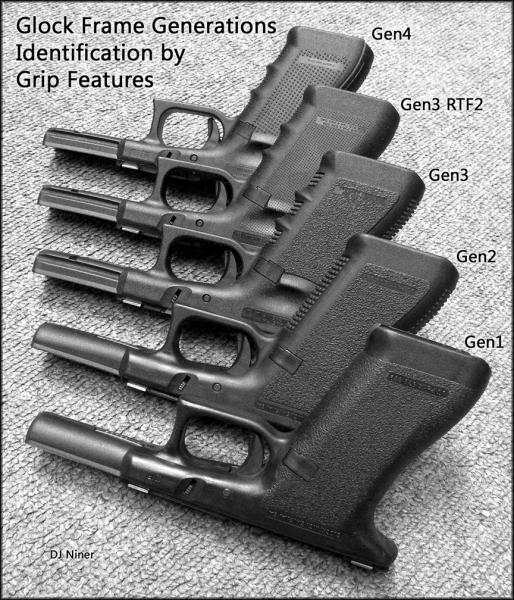 Discussion in 'handgun related' started by grumpyvette, Jun 27, 2013.
the 10mm is rather unique in that its one of the few auto pistol calibers designed to exceed the 357 mag revolver power level. 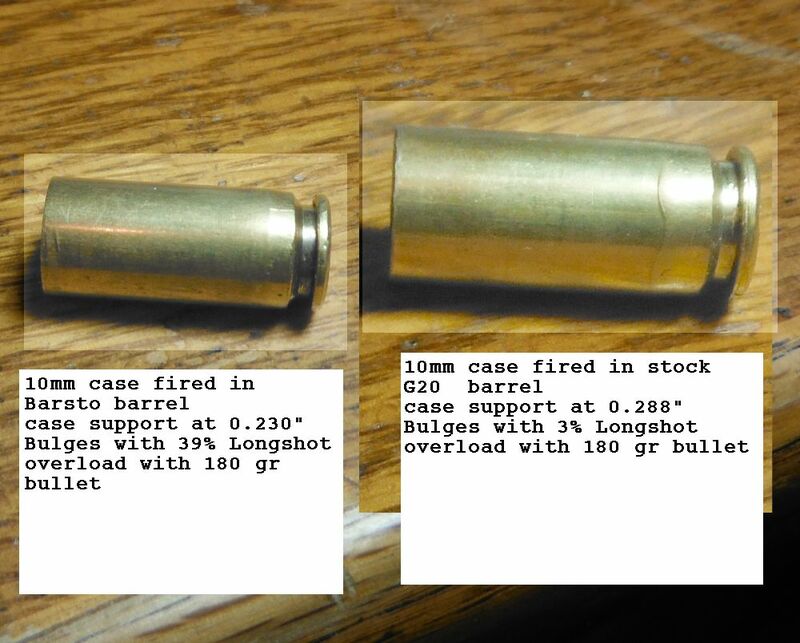 and once you can exceed the 357 mag, you at least in theory can use the pistol as a decent hunting caliber option. Un fortunately, theres a tendency to try to overload the 10mm to allow it to reach true 41 mag power levels, the best advice is to keep load levels reasonable the 10mm if fine for deer, hogs and smaller bear, I know from experience it does a fine job on deer and hogs at ranges under 50 yards , with good hand loads and exceeding 650ft lbs of energy is not difficult with a longer 6" barrel. In keeping up with this maintenance schedule you can generally expect from proven data that this firearm has a good chance of reaching 100K without catastrophic failure. heres some stuff I cut/pasted here! "Seems like we need a good thread on why you might want one brand of aftermarket barrel over another. Yesterday I ordered a Storm Lake barrel for my G20. I won't find out till Monday if they've got one in stock or if mine will be added to the production lineup to build. Either way it is paid for and will be on it's way to me in the very near future. The one I ordered is a nonported, nonthreaded, nonblack finished (Isonite QPQ), 6.02" barrel for $175.00. And for the record I'm very excited about it! What else do they claim? - 14 to 16 week wait time for barrels not in stock...very best and most consistent product on the market...best service humanly possible...family run and owned since 1967 (started making their first auto pistol barrels in 1971)...full case support...and have been used to win every major pistol tournament worldwide. What else do they claim? - 6.5 weeks or less wait time for barrels not in stock...dedicated to excellence in accuracy, excellence in quality, and excellence in value...company has existed since 1983...full case support...proudly made in the USA. What else do they claim? - leader in custom pistol barrel manufacturing for the last decade...one of the most accurate aftermarket barrels available today and our secret is our unique Button Rifling process...Glock barrels come with fully supported match chambers. What else do they claim? - made in the USA...highest close tolerance of any barrel available today...products are proudly made and manufactured entirely within the United States...totally commited to customers satisfaction...EDM process produces an accuracy of +/- 50 millionths of an inch and a superior finish of 16 RMS or better. What else do they claim? - Polished feed ramp and bore...diamond turned exterior...maximum chamber support...improved feed ramp design...target crown. Hardness is measured by the Rockwell C scale. The higher the RC number the more brittle the steel is. A higher RC number does not equal greatest overall strength. It is simply a measurement of one aspect of the steel. Rifling: Button rifling stresses steel but leaves behind a highly polished finish. Broach cut rifling doesn't stress steel but doesn't leave as polished of a finish except that the barrel may still be polished afterward. The Electrostatic Discharge Machine process doesn't stress steel and leaves a highly polished finish. They all say they warranty defects in material and workmanship. All 416 SS is not created equal. 416 SS is basically a recipe for steel that allows some variance. 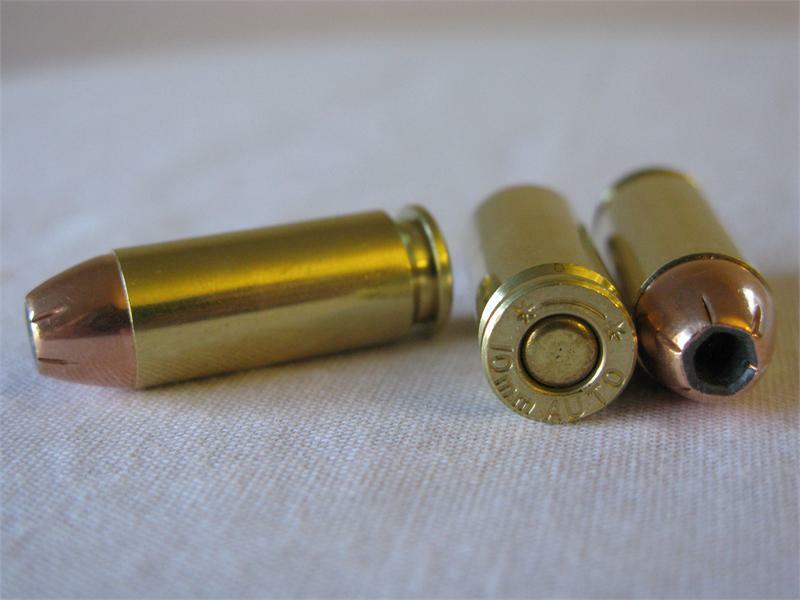 416 SS is by far the most commonly used steel for pistol and rifle barrels. 416 with an "R" after it is unclear to me but I've seen it said that if the "R" is designated it means rifle barrel quality. 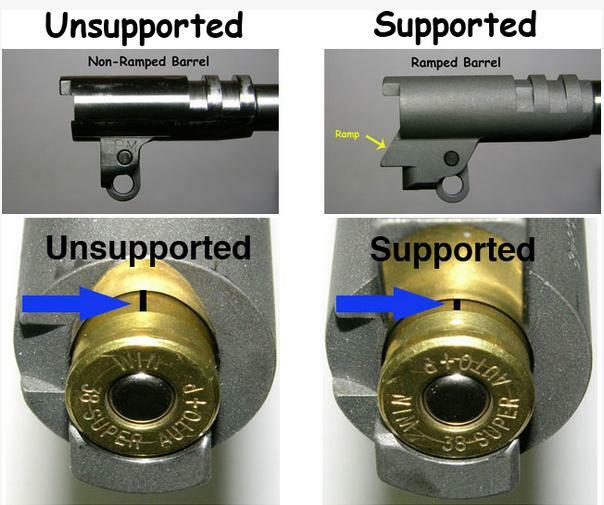 Though actual rifle barrels are not hardened to anywhere near the hardness of these pistol barrels (generally more like 30 - 32 RC). Sometimes the steel manufacturer heat treats the steel to the buyers specifications which would be optimal. 416 SS was developed for good gun barrel qualities while still being easy to machine as far as stainless steels go because of its sulphur content in the recipe. Hope this helps in the decision making process. Good Luck!" but use of a revolver with limited 5-6 shot cartridge capacity. with a well placed shot, power and penetration are important but shot placement is critical. what most people ignore is the available time frame and the ranges your likely to be facing. both rapidly and consistently, in a small area. with a 357 mag or 10 mm due to lower recoil. and your unlikely to get more than a couple shots off. 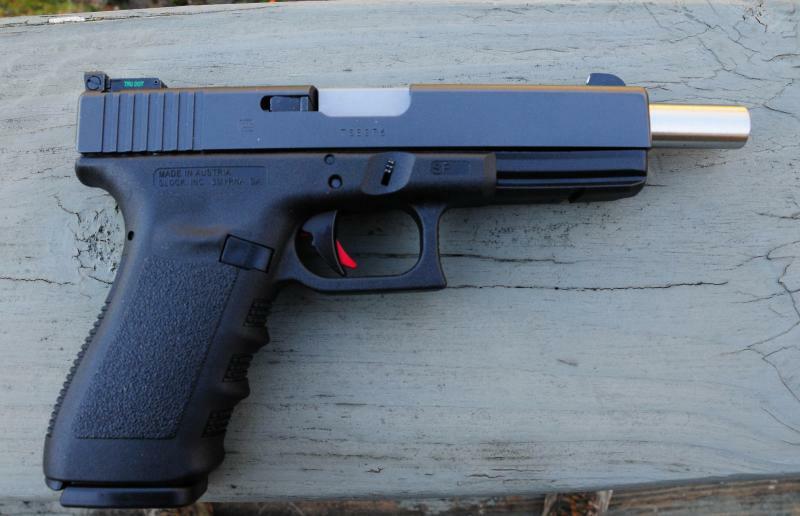 but a 10mm has proven to work.